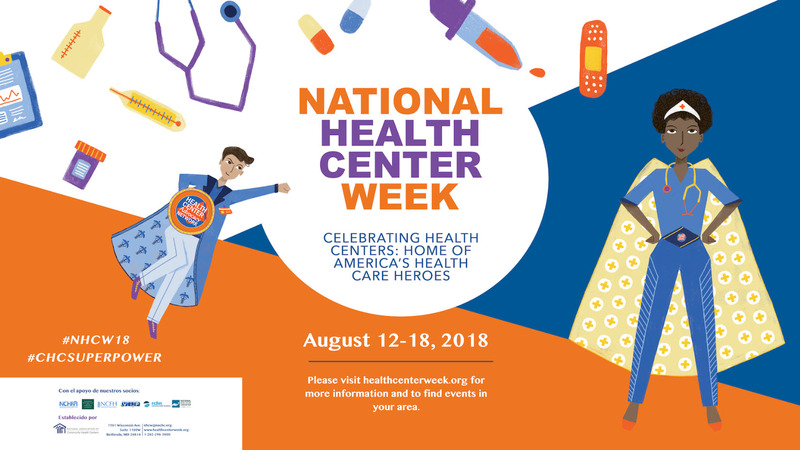 As part of National Community Health Center Week, Swope Health Services will host a luncheon and panel discussion for healthcare leaders on Friday, August 17 from 11:30 a.m. to 1:30 p.m. at the Kauffman Foundation Conference Center. This year’s topic is Coordination and Collaboration in the Face of Risk: Responding to Missouri’s Opioid Crisis. Our panelists will discuss their organization’s role in addressing the opioid crisis while offering leadership lessons for responding to challenges that require coordination across multiple agencies. In doing so, attendees will learn strategies and tips for breaking down silos and working more effectively in cross-functional or interagency teams. Dr. Rex Archer serves as Director of Health for the City of Kansas City, Missouri. In addition to serving on the Public Health Accreditation Board (PHAB) of Directors and Chairing PHAB’s Accreditation Improvement Committee, he is a past president of the National Association of County and City Health Officials (NACCHO). Dr. Archer has served on numerous national committees involved with public health. He is responsible for safeguarding the public health of nearly half a million residents and a daytime population of almost one million people. Andrea Buford is the Clinical Director for Behavioral Health at Swope Health Services where she has worked for the last 20 years. She is a Licensed Clinical Social Worker (LCSW) with a passion for serving the entire family system and the community at large. Ms. Buford manages SHS’ Imani House SUD Treatment Facility, coordinates Medication Assisted Treatment (MAT) services for all SHS clients and is working on the cross-functional team charged with integrating primary care and behavioral health services. She also is exploring the feasibility of offering telemedicine to those with a need for opioid use disorder treatment. Vince Ortega is the executive director of COMBAT, a community funded organization that strives to ensure a strong, safe community for its residents free from the dangers of illegal drugs and violent crime through the use of prevention education, treatment services and support of the criminal justice system. Mr. Ortega spent 30 years with the Kansas City, Missouri Police Department, rising through the ranks to become Deputy Chief of Police before joining the COMBAT staff in early 2009. He holds a Master’s of Public Affairs degree from Park University in Parkville, Missouri. Dr. Rachel Winograd is a Research Assistant Professor at the Missouri Institute of Mental Health (MIMH) – University of Missouri St. Louis (UMSL). Her clinical, research, and program development interests have revolved around alcohol and drug use, consequences, and treatment. Dr. Winograd is the Project Director of Missouri’s State Targeted Response to the Opioid Crisis Grant (Opioid STR) and the Missouri Heroin-Opioid Prevention and Education (MO-HOPE) Project. Her primary focus is on expanding access to effective, evidence-based medical treatment and harm reduction strategies for those most in need of care for opioid use disorders in Missouri. Nationally, 90 people die every day from opioid overdose, according to the National Institute on Drug Abuse. And, the American Society of Addiction Medicine estimates that about 2.5 million Americans are addicted to opioids. The Kansas City metro area ranks roughly in the middle of the pack in opioid prescriptions and concentration, as measured by the Centers for Disease Control and Prevention. Swope Health Services offers medication-assisted treatment for opioid addiction, providing suboxone, a prescription medication also known as naloxone, which works by blocking the opioid receptors in the body. What are opioids? Broadly, the term covers prescription pain relievers, including the synthetic drug fentanyl, as well as illegal drugs like heroin. How did we get to an opioid crisis? According to the National Institute on Drug Abuse, the problems began in the 1990s with the pharmaceutical companies marketing of prescription opioid pain relievers. Providers began prescribing them more at greater rates until it became clear in opioid overdose deaths that the drugs were highly addictive. How do we address the crisis? Nationally, new programs promote greater access to treatment and recovery, and availability of overdose-reversing drugs. Just this summer, the state of Missouri began the creation of a statewide prescription drug monitoring program.